As a child Samantha Jackson Davis loved fairy tales as much as the next girl. She just hadn’t expected to end up in one. Every morning when her eyes fluttered open and every night before she closed them to go to sleep, Samantha marveled at her good fortune. In a Disney version of the airline passenger held up in security just long enough to miss the plane that goes down, or the driver who runs back for a forgotten cell phone and barely avoids a deadly ten-car pileup, Samantha averted disaster in the once-upon-a-time way: she married the prince. Over the past twenty-five years Samantha had sometimes wished she’d spent a little more time and energy considering alternatives. But when your world comes crashing down around you at the age of twenty-one, deep thinking and soul-searching are rarely your first response. There was plenty of precedent for prince-marrying in the fairy-tale world. Sleeping Beauty had not ignored the prince’s kiss in favor of a few more years of shut-eye. Cinderella never considered refusing to try on the glass slipper. And Snow White didn’t bat an eyelash at moving in with those seven little men. It wasn’t as if Samantha had gone out searching for a man to rescue her and her siblings when their world fell apart. She hadn’t feigned a poisoned apple–induced sleep or gotten herself locked in a tower with only her hair as a means of escape. She hadn’t attempted to hide how desperate her situation was. But the fact remained that when the handsome prince (in the form of an old family friend who had even older family money) rode up on his white horse (which had been cleverly disguised as a Mercedes convertible), she had not turned down the ride. The fact that she hadn’t loved the prince at the time he carried her over the threshold of their starter castle was something she tried not to think about. She’d been trying not to think about it pretty much every day for the last twenty-five years. Samantha smiled sleepily that early September morning when her husband’s lips brushed her forehead before he left for the office, but she didn’t get up. Instead she lay in bed watching beams of sunlight dance across the wooden floors of the master bedroom, breathing in the scent of freshly brewed coffee that wafted from the kitchen, and listening to the muted sound of traffic twelve floors below on Peachtree Street as she pushed aside all traces of regret and guilt and renewed her vow to make Jonathan Davis happy, his life smooth, and his confidence in his choice of her unshaken. This, of course, required a great deal of organization and focus, many hours of volunteer work, and now that she was on the downhill slide toward fifty, ever greater amounts of “maintenance.” Today’s efforts would begin with an hour of targeted torture courtesy of her trainer Michael and would be followed by laser, nail, and hair appointments. Since it was Wednesday, her morning maintenance and afternoon committee meetings would be punctuated by a much-dreaded-but-never-complained-about weekly lunch with her mother-in-law. Which would last exactly one hour but would feel more like three. Samantha padded into the kitchen of their current “castle,” which took up the entire top floor of the Alexander, a beautifully renovated Beaux Arts and Renaissance Revival–styled apartment building in the center of Midtown Atlanta. When it opened in 1913, the Alexander, with its hot and cold running water, steam heat, elevators, and electric lights, had been billed as one of the South’s most luxurious apartments. Like much of mid-and downtown Atlanta it had fallen on hard times but had been “saved” in the eighties when a bottom-fishing developer bought it, converted it to condos, and began the first of an ongoing round of renovations. A little over ten years ago Samantha and her prince spent a year turning the high-ceilinged, light-filled and architecturally detailed twelfth-floor units into a four-bedroom, five-bath, amenity-filled home with three-hundred-sixty-degree views and north- and south-facing terraces. For Samantha its most prized feature was its location in the midst of trendy shops, galleries, and restaurants as well as its comfortable, but not offensive, distance from Bellewood, Jonathan’s ancestral home in Buckhead, one of Atlanta’s toniest and oldest suburbs, where both of them had grown up and where his often-outspoken mother still reined. The doorbell rang. 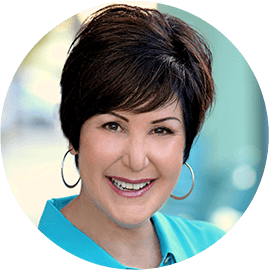 As Samantha went to answer it she pushed thoughts of Cynthia Davis aside and gave herself a silent but spirited pep talk. She’d married into Atlanta royalty. Her prince was attractive and generous. A difficult mother-in-law and a life built around pleasing others was a small price to pay for the fairy-tale life she led. As Sheryl Crow so aptly put it, the secret wasn’t having what you wanted but wanting what you got. Shortly after the morning’s training session ended Samantha rode a mahogany-paneled elevator down to the Alexander’s marbled lobby. The gurgle of the atrium fountain muffled the click of her heels on the polished surface as she took in the surprisingly contemporary high-backed banquette that encircled the deliciously carved fountain. Conversation groups of club chairs and sofas, separated by large potted palms, softened the elegant space. A burled walnut security desk, manned twenty-four-seven, sat just inside the entrance. The concierge desk sat in the opposite corner and commanded a view of the lobby as well as the short hall that accessed the parking garage and the elevators. “Thank you.” She was of course capable of simply going into the Alexander’s parking garage to retrieve her own car, but the last time she’d insisted on doing this Edward had looked genuinely disappointed, and the minutes saved would come in handy if she ran behind or hit traffic between appointments or on the way to lunch with her mother-in-law. Punctuality was a virtue that Cynthia Davis prized; tardiness a vice to be stamped out at all cost. Samantha arrived at the Piedmont Driving Club—where the Davises had belonged since its inception as a gentleman’s club in the late 1880s—ten minutes before noon, buffed, coifed, and polished. Though she was early her mother-in-law was already seated at a favored table with her back to the window, the better to keep an eye on the room’s comings and goings. Samantha smiled and leaned down to kiss her mother-in-law’s rouged cheek. Cynthia Davis might be seventy-five, but she was still formidable. Like her son and the husband she’d already outlived for a decade, she could drive a golf ball straight down a fairway and had a tennis backhand that was almost as sharp as her tongue. Born into one of Atlanta’s oldest and most revered families and married into another, she remained a snob at heart; one who liked to remind anyone who would listen that “you can’t make a silk purse out of a sow’s ear” and the vaguer but more ominous “breeding will out.” Samantha had heard these summations applied to everything from a disappointing fund-raiser to the scandal that had ensued when Samantha’s father, Davis &amp; Davis’s managing partner, had dipped into client trust accounts, almost ruining the firm that had been in the Davis family since shortly after the Civil War. He’d been under investigation when his car had run off the road just a few miles from home, killing both him and Samantha’s mother instantly. Cynthia Davis had been horrified when her only son chose to marry the daughter of one-time friends who had disgraced themselves publicly before dying spectacularly. Samantha’s failure to produce a grandchild had made her even less desirable in her mother-in-law’s eyes. “Do?” Samantha ordered a glass of Chardonnay. Hearing her brother and sister’s names on her mother-in-law’s lips made her regret she could have only one glass. As she considered possible replies, she made a mental note not to schedule anything after their weekly lunch in the future so that she could drink as much as the meal required. “I don’t believe either of them are employed at the moment, are they?” Cynthia asked, as if there might be some doubt. For Cynthia Davis idleness was an even greater personality defect than lack of income. “Then perhaps we need to put our heads together to come up with something for them to do.” This was not a question. “After all, Hunter’s last venture did show some . . . promise.” Cynthia was referring to her brother’s recent attempt to launch a chain of soul food/sushi restaurants in the Midwest, which had ended badly. Hunter could make a better first impression than almost anyone she knew and could sell almost anything while in the first flush of enthusiasm. Unfortunately, follow-through was not his forte. Samantha smiled and nodded as if Cynthia’s comment had been meant as a compliment, and perhaps it had been. Her mother-in-law did not approve of Hunter Jackson, or the money Jonathan spent on Hunter’s upkeep, but she was not immune to Hunter’s charm. The basket of corn bread and rolls that neither of them would touch arrived. A group of women stopped by the table to pay their respects on their way out. “Don’t you think it’s time we find Meredith an opportunity here in Atlanta where she can make use of her degree? She did spend quite a lot of time in school acquiring it.” Cynthia had been furious when she’d realized the size of the tuition Jonathan had paid for Samantha’s younger sister to receive a master’s degree in Historic Preservation from the College of Charleston. But while Jonathan loved his mother and preferred her happy—or at least satisfied—he didn’t ask her input on his decisions or bow to her wishes unless they happened to coincide with his. “I don’t imagine the Atlanta Preservation Board has heard about her little contretemps in Charleston yet. Maybe I could put a word in.” This was so Cynthia—first the slap down, then the oddly magnanimous gesture. Samantha allowed herself another measured sip of wine. At least Cynthia hadn’t brought up her sister’s taste in men. Samantha swallowed slowly, bracing for the “bless her heart” that Cynthia all too often tacked on to the end of Meredith’s name; the final condemnation of her sister and the job Samantha had done raising her. A job for which she’d been unprepared and which had led her to marry the first prince who had galloped to her aid. Claire Walker had barely placed one dyed-to-match silk pump on the church aisle when she realized she was making a big mistake. Unable to find the courage to call off the ceremony, she’d walked as slowly as she could down the aisle to Daniel Walker’s side. When she got there she smiled and said “I do” even though she didn’t. That was nineteen years ago and to this day she could still remember the lightning bolt of revelation, the bitter taste of the words she couldn’t speak, and her fear that she might gag on them as she struggled to swallow them. For a crazed moment she’d imagined them bubbling up and spewing all over the minister, Daniel, and the two-thousand-dollar dress that her mother, who had eloped with Claire’s father and deeply regretted not having a church wedding, had insisted on buying her. She still wasn’t sure how she made it through the ceremony and reception, but by the time the limo arrived to whisk them to the airport, she could hardly refuse to go on the island honeymoon that Daniel’s parents had given them. Nor could she maintain the fiction of a weeklong headache, which was how she’d come home from Belize pregnant with Hailey. She’d tried to convince herself that love and respect weren’t absolute requirements for a successful marriage, but three years later, holding her two-year-old daughter in her arms, she’d done what she should have done that day at church; she apologized for the screwup and with equal parts fear, regret, and relief sundered what should have never been joined together. Sixteen years of single parenthood on a shoestring had followed. Today her life had changed again. Tonight she stood on the small balcony of the Midtown Atlanta condo she’d spent the Labor Day weekend moving into, trying to come to terms with that change. She took an exploratory breath of the night air. It was thick with humidity, redolent with the aroma of marinara from a nearby Italian restaurant, car exhaust, and possibility. Bits of music arrived on the warm breeze, carried from one of the bars over on Crescent Avenue. Below on Peachtree, horns sounded. A siren blared. Voices rose from the sidewalk where despite the late hour a steady stream of people walked alone, in pairs, in groups; all of them going somewhere to do something. Here, dark and quiet were not synonymous. “You are so not in suburbia anymore,” she whispered on another breath of night air. Here, people were living the kind of life that she’d barely allowed herself to imagine. A frisson of excitement ran through her and she leaned further out over the railing, not wanting to miss a thing. She’d have to be very careful not to accidentally click her heels together three times and end up back where she’d come from. Her cell phone rang and she hurried inside. As she hunted for the instrument, a part of her brain reveled in the fresh paint smell of her new home, the sparkle of the tall windows that overlooked Peachtree, the gleam of the polished wood floor. She stepped around the new gray flannel sofa and area rug from West Elm, scanned the Crate and Barrel dining room table that would double as her office, and checked the nightstand next to the brand-new never-before-slept-on-by-anyone queen bed, which she’d tucked into a corner behind a tri-fold screen. Sidestepping half-opened boxes, she searched the stand on which her new flat-screen TV perched and the bookcases that bracketed the Murphy bed that would be her daughter Hailey’s, when she came home from college. College. Claire exhaled heavily. Breathed in shakily. Out with the old life. In with the new. She found the phone hidden behind a box on the kitchen counter—a lovely dappled granite that she’d fallen in love with the first time she’d entered the studio apartment—and managed to answer it before it went to voicemail. “Hi, Mom.” Her daughter’s voice was achingly familiar and surprisingly grown up after only two weeks in Chicago at Northwestern University. Claire reached for a framed photo that lay on the counter and was intended for the nightstand. It was from Hailey’s high school graduation and showed the two of them with their arms slung around one another’s shoulder staring happily into the camera. They were both of average height and had the same even features and wide smiles above pointed, some might say determined, chins. Their heads were bent together in a tangle of hair—Hailey’s long and smooth, the blond tinged with honey overtones, Claire’s a shade that resembled dishwater and which she kept cut in short, low-maintenance layers. Claire listened to the hum of happiness that infused Hailey’s voice. It made her happy just to hear it. It also made her aware of just how alone she was. No. Claire silently rejected the word and all its synonyms. She refused to be lonely. No new beginning was without its bumps. “How was the move?” Hailey asked. “Good,” Claire replied. When you’d sold or given away 95 percent of your former life and arranged to have most of your new life delivered, moving wasn’t particularly onerous. She’d been able to fit the few things she couldn’t part with in her SUV. “Have you met any of your neighbors?” Hailey asked. She had helped her search for a rental unit before she’d left for Chicago, tramping in and out of every unit in the geographical area Claire had outlined on her map. They’d made the choice together over cardboard containers of pad Thai and panang chicken, just as they’d made so many other decisions over their years of dynamic duo–dom. “Not really. The concierge has been helpful and the other residents seem nice enough.” There seemed to be a diverse group of owners and tenants, which was part of what had attracted her to the building. And while Claire hadn’t seen anyone who looked like they were counting their pennies quite as carefully as she was—no one had turned up a nose or been unfriendly. “Edward Parker is way hot,” Hailey said turning the conversation back to the concierge. “That British accent is fabulous.” She giggled. “I could probably be okay with him for a stepdad.” She said this as if it were only a matter of time before she had one; just as she had since she turned five and began trying to picture pretty much every man they ran into—including her soccer coach, the mailman, and her favorite elementary school janitor—as potential husband material for her mother. “I’ve talked to him exactly twice for about five minutes each time,” Claire pointed out. “But he’s cute, right?” Hailey said. “So are puppies, but I don’t have the time or energy to housebreak one.” Even Claire had to smile as she pictured leading the elegant Englishman to a pile of newspaper or out to a strip of green between buildings and ordering him to “piddle.” “I’m not here to get married, I’m here to write,” Claire reminded her daughter. Somehow in the years filled with work and single parenting that added up to too much stress and too little sleep, Claire had managed to write two historical romance novels and see them published. Writing Highland Kiss and Highland Hellion had been her great escape from the often overwhelming responsibilities of her real life; a chance to live in another time and place and to experience the kind of romantic love and devotion that people like her could only dream about; the kind of love that led to happily-ever-after. “You’re there to have a life, too,” Hailey added. “I’m going to ignore just how chauvinistic that statement was to say that raising you has been a privilege and an honor. And I’m still here to take care of you when you need it,” Claire said. A silence fell reminding Claire just how far away her daughter was and how completely their life had changed. She’d sold their home, bought what she needed to start fresh, and had exactly enough money leftover to pay the rent on this condo for one year. That meant she had three hundred and sixty-five days to plot and write a new and hopefully bestselling novel. “One thing at a time,” she said falling back on the adage turned mantra that she’d used to get over each new hurdle. To put one foot in front of the other. To take care of increasingly infirm parents and raise her daughter alone. To keep going no matter how tired she was or how short of cash. Hailey chattered happily while Claire smoothed on the bottom and top sheets, slipped pillowcases over the pillows, and arranged the comforter, turning one corner down invitingly. The bed might be new, but the sheets were well worn and familiar. Moving into the bathroom, she laid out a towel and stacked the others in the linen closet, then arranged her toiletries on the bathroom counter. She’d do just what she had to tonight and tackle the rest in the morning. As they talked, Claire focused on Hailey’s voice and her obvious happiness and knew that Hailey was hearing the same in hers. Both of them were poised to add a new and exciting chapter to their lives. Hailey yawned midsentence and Claire glanced at the closest clock. It was getting late. “I think it’s time for both of us to turn in,” she said when Hailey yawned a second time. The line disconnected and Claire stood alone in the center of the cluttered condo. Hers, all hers. A thrill of anticipation coursed through her. How in the world would she ever calm down enough to fall asleep? Now all she had to do was hurry up and go to sleep so that she could wake up tomorrow morning and start making the most of it. Claire gave herself two full days to unpack, hang her artwork and photos, and organize the kitchen. She slept fitfully both nights, thrown off by each unfamiliar noise that reached her from within the building and the streets below. Each time she woke she had to remind herself where she was. Then she would look around the apartment and consciously think the word “home,” but as excited as she was to be here, her brain was not fooled. Home was the house on Juniper Lane with the fenced backyard and the cul-de-sac out front that filled with kids each evening after dinner. In between bouts of unpacking she explored the Alexander trying to make it familiar and vowing to use the fitness room, the pool, and the clubroom with its big-screen TV, kitchen, and bar, which was available for entertaining. Even though she didn’t know enough people in this part of town to fill her tiny bathroom. Late on the second afternoon she stood in the center of her new home and pronounced it “done.” Her laptop and a yellow pad of character notes and ideas sat on the dining room table/desk right next to the brocade-covered journal that Hailey had given her to record her new life. Other than her brief conversations with Hailey, a food-and-drink order on a quick stroll up Peachtree, and a deep Dumpster discussion with Edward Parker, she hadn’t really communicated with anyone. She cleared her throat just to make sure her vocal chords still worked. “Okay,” she said aloud just to confirm that everything was operational, “you’re going to walk to Piedmont Park and find a nice shady spot where you can prime your pump by writing in your journal.” Eager to get outside, she put on her sneakers, tucked the journal and a pen into her cross-body bag, and left the condo. In the lobby, she strode purposefully with her chin up and her eyes on the front door; a woman on a mission. Which may have been why she didn’t see whatever it was that got tangled in her feet. Or understand how she ended up on the hard marble floor with something small and heavy on top of her and an unfamiliar woman’s voice yelling in the distance. Download a printable discussion guide for While We Were Watching Downton Abbey. Claire Walker is now an empty-nester and struggling author who left her home in the suburbs for the old world charm of The Alexander, and for a new and productive life. But she soon wonders if clinging to old dreams can be more destructive than having no dreams at all. Wendy Wax is the author of eight previous novels. A former broadcaster, she lives in the Atlanta suburbs with her husband and looks forward to visits from her college-aged sons, who have turned her into the shortest member of their family. 1. How does watching Downton Abbey draw these characters together? Do you think this is part of the value of a hit television show? How has watching Downton Abbey or any other favorite show added to your life? 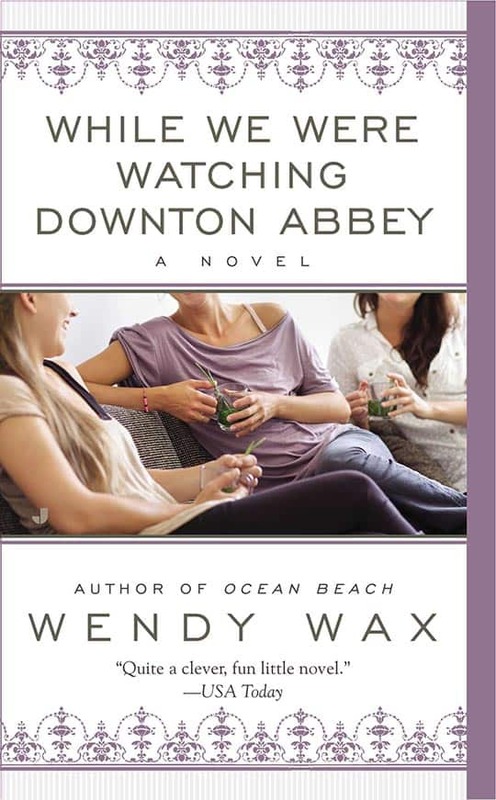 Could you imagine yourself making a new friend through a shared interest in Downton Abbey? 2. Downtown Abbey chronicles the lives of the very wealthy and the people who serve them. How is this paralleled in the interactions we view between the characters in the book? How do these relationships evolve? 3. Samantha, Claire, and Brooke come from very diverse backgrounds and are each at a different stage in life. How do these differences help to bond them together and foster their friendship? How would their ultimate outcomes be altered if they had never become friends? 4. The relationship between mothers and daughters is a prevalent theme in While We Were Watching Downton Abbey. Readers witness Samantha’s interactions with her mother-in-law, Cynthia Davis, as well as Samantha’s motherly bond with Meredith; Claire’s connection with Hailey; and Brooke’s relationship with Ava and Natalie. Discuss the effects of each of these mother-daughter relationships on Samantha, Claire, and Brooke. 5. In a way, Downton Abbey is also a main character in this book. How would you define its role in the lives of those living in The Alexander? How is the show a catalyst for change? 6. Edward Parker’s Great Uncle Mason says discretion, persistence, and valor “always win the day” (88). Do you think this belief is upheld in the book? Give examples from the story to support your answer. 7. Food is often described in the book. What role do you think it plays in different settings, such as during the Downtown Abbey gatherings, the family dinners with Samantha and Jonathan, and the meetings between Samantha and her mother-in-law? Can you think of other scenes where food is highlighted? 8. If you were to write a sequel to While We Were Watching Downton Abbey, how would it go? What do you think the future holds for these characters?